Coal is a fossil fuel, which has abundant reserve, wide distribution area and is easy to store in the world. However, carbon dioxide emissions from burning coal are the largest sources of air pollution. Therefore, efficiently and cleanly use coal resources is an effective way to ameliorate air. Liming Heavy Industry built complete clean coal powder production line for customers. The host equipment of coal powder production line, MTW European Trapezium Mill, is the fourth generation upgrading equipment of the traditional Raymond Mill, pendulum mill. The equipment adopts bevel gear transmission, internal thin oil lubrication system, oil temperature on-line measurement and many other world advanced technologies. It has a number of independent patent technology property rights, with the advantages of small footprint, low overall investment, low operating costs, high efficiency and environmental protection. 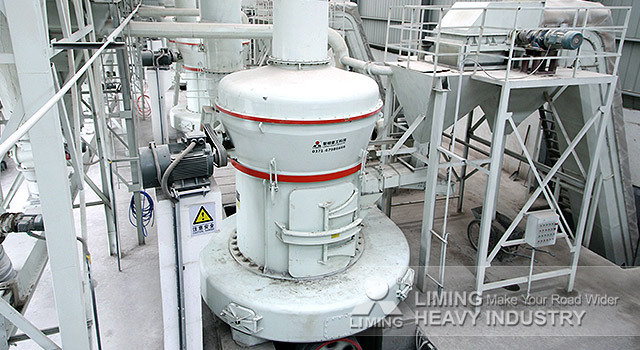 In addition to the host equipment, Liming Heavy Industry also configured advanced auxiliary equipment for different process requirements to ensure the safety, smooth, environmental protection of the entire production process. At present, the complete clean coal production line equipment has been widely used in power plants, steel mills, cement plants, lime kiln and other areas of coal production and won the unanimous praise of many customers. If you want to know more about our coal powder production line, please contact with our online customer service.